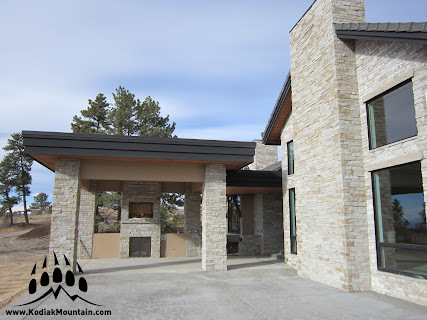 How do I install Kodiak Mountain Stone manufactured stone? Can I do it myself, or do I need a professional? 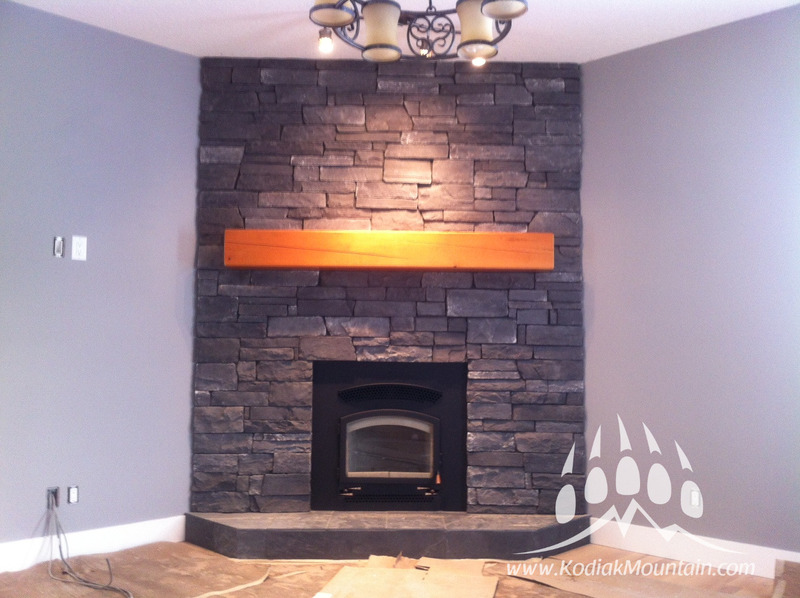 Question: I am planning on putting Kodiak Mountain Stone manufactured stone on the exterior of my house and on my fireplace. How is it installed? Can I do it myself? 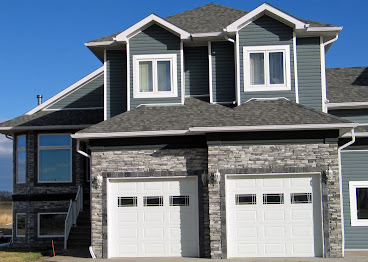 Kodiak Mountain Stone manufactured stone can be installed by a professional mason or the do-it-yourself (DIY) home owner. Properly installing our manufactured stone products is the most important part of ensuring a long-lasting, beautiful project. There are definite advantages of using a professional mason and we would be happy to try to help you find one if you wish. But if you want to instal your stone on your own, we are here to help. Visit our website at www.KodiakMountain.com if you would like to download our Installation Guide in .pdf format. Whether you are putting stone on your fireplace, a feature wall or on the exterior of your home, the first step is to estimate the amount of stone that you will need for the job. Next you would determine the area of any large openings such as windows and doors where the stone is not going to be applied. When you calculate this square footage, subtract it from the square footage you calculated in step 1. Because the corner pieces do cover some of the area that we have previously measured for the square footage of flats, for each linear foot of corners subtract 1/2 foot off of the total square footage of flats you previously calculated. In our example, if you need 8 linear feet of corner pieces, subtract 4 square feet of the needed flats calculated in steps 1 & 2. When installing your manufactured stone there will be times that you need to cut and fit the stone. At times there may even be some broken stones that come in the boxes. During shipping some breakage may occur. These stones can be used when cutting and fitting is needed. For this reason plus the possibility of errors in measuring, we suggest when you order your stone you order about 10% more than you anticipate needing. The moisture barrier is an extremely important part of the installation. Without a proper moisture barrier you can run into significant problems down the road. 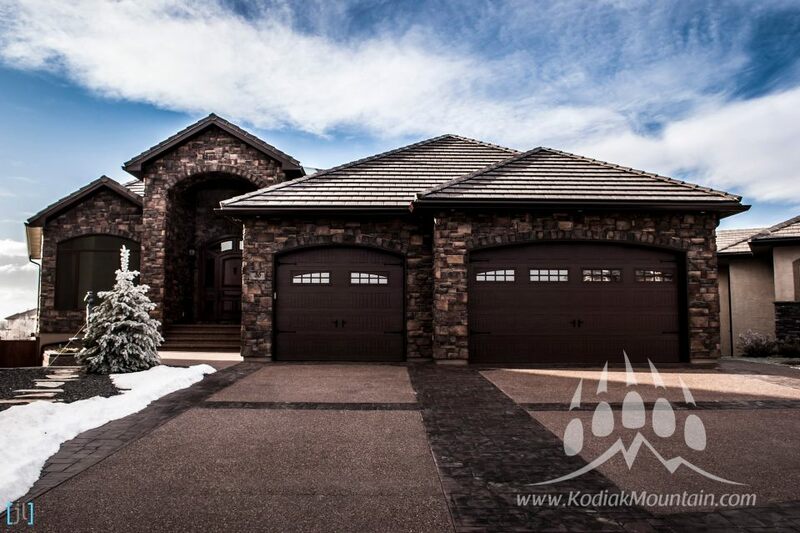 This is one area of concern with not having a professional installing your Kodiak Mountain Stone products. If you ensure you follow the provided guidelines, you won’t have a problem. Please watch the video above to learn more about surface preparation. If you are installing your stone over wallboard, paneling, plywood, or other rigid wood related sheathing, it is necessary to cover the wall surface with a moisture barrier. In most cases, building codes are satisfied by using two (2) layers of tar paper or two-ply 60 minute grade D paper. Make sure to check your local building code requirements. Be sure that the sheets overlap from the bottom up. Overlap two inches on the horizontal seems and six inches on the vertical seams. Flashing, weep screed, and appropriate drainage means are required at stoppage points of stone veneer and at any places of potential penetration. When stone is to be installed over clean brick, block, cement board or other masonry surfaces, no moisture barrier is necessary. Check your local building codes for required flashing specifics and to ensure these instructions meet specific moisture barrier requirements. Directly over the moisture barrier, cover the area with a wire lath. We recommend using at least a 2.5 lbs (1.71 kg) diamond mesh expanded wire lath meeting the requirements of ASTM C 847. Overlap lath sides and ends no less than one inch. Be sure that lath is attached with the small cups pointing upward. Attach the lath using galvanized nails or staples every 6 inches on center vertically, and 16 on center horizontally, ensuring to penetrate studs. Use staples or fasten any loose areas between the studs. Use tin snips to cut the lath. For detailed instructions on mixing your mortar from scratch, please visit our installation guide online at http://www.kodiakmountain.com/technical/installation.htm. If mixing your own mortar, ensure that all ingredients comply with, and are mixed to meet ASTM standards and/or local building codes. At our stores in Lethbridge and Calgary we sell a pre-mix mortar that just requires adding water and mixing thoroughly. Mortars and mixtures can vary, so please follow the directions on the bags of mortar that you purchase. The bags of mortar will also indicate the coverage amount of each bag. Cover the entire wire lath with an even layer of mortar with a cement trowel. While the cement is still wet, gently scrape it with a fine bristled brush or hair pick. The resulting grooves rough up the scratch coat, which creates a better bond when the stone is applied. Brush gentle enough that no mortar is removed from the wall. Let the scratch coat dry sufficiently. Depending on temperature, humidity, airflow, mix, etc this can take 8 to 24 hours. Before applying stone, ensure that proper measures are taken to divert water runoff away from the stone. Excess run-off and splashing can, over time, stain the stone. Using a trowel, apply a 1/2″ layer of mortar on the back of the individual stones. Press the stone firmly into the scratch coat to ensure a good bond. Press hard enough to squeeze out a little mortar around the edges of the stone. Make sure you have complete coverage between the mortar bed and the surface of the stone. The corner pieces should be installed first alternating the long and short ends of the corner pieces in opposite directions. Next apply the flat pieces by starting at the outer edges and working towards the center of the wall. Cutting & Trimming: You may use nippers, the edge of your trowel, or a circular saw with a masonry blade to cut and shape the stone. If necessary, broken stones can be trimmed and shaped to fill in any gaps. Avoid having any cut edges of the stone visible. Grouting Joints: When a mortar joint is to be used, fill in the joints with a mortar bag, taking care to avoid getting mortar on the stones’ surface. Joints should be 1/2″ to get the most natural look. Any accidental smears can be removed with a whisk broom after the mortar is crumbly. Never use a wet brush, wire brush, acid or acid-based product to clean the stone. Finishing Joints: Proper jointing gives your project an appealing and professional finish. Allow mortar joints to become firm (approx. 30-60 min), then point them up with a jointing tool. Brush Joints: Remove excess mortar then firmly compress and seal the edges around the stones. Brush stones and joints with a dry whisk broom to finish and clean your project. Dry Stack (Mortarless) Application: In dry stack application where no mortar joints are used, a bonding agent may be added to the mortar mix for better bonding. It is also recommended to use a breathable (non-film-forming) sealer. (no gloss, low gloss and high gloss sealers are available). Install dry stack stone from the bottom up and keep joints as level as possible. Clean Kodiak Mountain Stone products with a soft bristle brush and water. If stained with mineral deposits or efflorescence, stone may be cleaned with a diluted household vinegar solution (7 parts water, 1 part vinegar). Rinse thoroughly with clean water after cleaning. Do not use wire brushes or acid to clean Kodiak Mountain Stone manufactured stone. Contact our office at 1-877-563-4252 or visit one of our stores or one of our dealers to explore our various sealing options. Can I use PL-400 to Install Stone? I am going to use Kodiak Mountain Stone Frontier Ledge Nebo … My question is; Can I use a strong construction adhesive, like PL400 or Gorilla Glue, to install the stone veneer? It is recommended to always use a Mortar and Mesh combination as set out in the Kodiak Mountain Stone Installation instructions. Local codes will mandate what product or combination is required in various jurisdictions. Some things to remember is the ICC (International Code Council) sets their benchmarks for application of products and when products like Kodiak Mountain Stone Veneer has been tested within these benchmarks; the Code Council issues sets its codes based on the application and use of these products. There is also waterproofing to take into account and installing stone with PL or any adhesive to a surface does not create a water barrier. Something to remember about adhesives; is that they are a chemical and naturally different issues arise such as off-gasing; smell; freeze-thaw degeneration cycles all are considerations. Kodiak Mountain Stone encourages users to follow our installation guide and to always check local building codes. Stone can greatly enhance any space that it is used in. In the past year we have seen stone used in kitchens, bathrooms, mancaves and wine cellars. Simple projects are all around your home and can increase the value of your home significantly with a minimal investment. Recently, we had some customers at our Calgary store do a simple purchase of $500 worth of stone to do a fireplace. They approached the project themselves and created a magnificent show piece in their living room that everyone who saw it, appreciated it. They had an appraisal redone from shortly before and it increased the appraised value of their home $5000.00. Stone demand has gone way up for manufactured stone. With the varied selection, different sectors have also jumped on board including landscaping, general construction, residences, interior decorating and of course masons. All enjoy using custom stone in a variety of ways both commercially and residentially. With the lower costs of manufactured stone, and it being more user friendly; new customers are using stone in projects never conceived of before. Basically, people can find the stone that fits their particular need and style. With Kodiak Mountain Stone; we have innovative materials, coloring pigments and concrete that is molded and manufactured to make it look real and natural. Only people with an intimate knowledge of stone work and a great eye for detail can tell the subtle differences between natural and Kodiak Mountain Stone; which creates more of an appeal with prices being significantly less. Our stone also allows us to use technology; incorporating things like longer durability, stain resistance than some natural stone. The actual molding process is inspired by nature; which makes Kodiak Mountain Stone look so real. While many people have been deterred by the fact it is not natural stone, we have perfected our techniques and people ask all the time… is that real? The cost savings by using our manufactured stone allow you to get the look and feel of natural stone without the pocket book burden. Manufactured stone is being welcomed into all different kinds of projects both commercial and residential. The material is lighter, more durable, consistent, cheaper and gives the same effect as natural stone including beauty and integrity that will last for years. 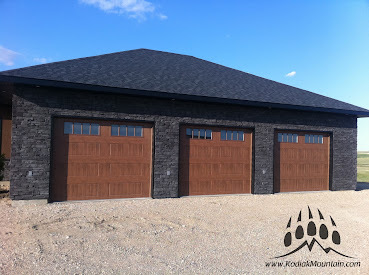 We would love the opportunity of showing you our manufactured stone products in any of our showrooms or even online at http://www.kodiakmountain.com Along with manufactured stone Kodiak Mountain Stone also supplies Natural Stone, Brick, Stucco and Lightweight Concrete fencing. Since necessity is the mother of invention; manufactured stone has to thank natural stone for its’ inception. Due to the weight and expense of natural stone there was a need for an alternative to it which resulted in people figuring out that for half the price and a third the weight a similar looking product could be man made and mass produced. Many customers have a difficult time figuring which product they want and it is a tough decision for your project but there are many factors involved including time, budget and long term benefits. Kodiak Mountain Stone supplies both products and definitely has the right product for your next project. Natural Stone is both practical and durable, and can be produced in almost any shape or form. But unlike comparable products, stone will age like the things around us but never date. A suitable natural stone is available for virtually any requirement imposed on a building material. Stone is quarried in large blocks and cut to the desired size in a factory usually adjacent to the quarry. The size of the natural stone slabs is limited only by the size of the rough blocks and not by standard dimensions specified by production. The sizes can be adapted individually to meet planning requirements. Any desired shape can be provided, not only square or rectangular slabs. Modern processing machines allow inlay work in natural stone. The variety of the stone and the individual processing and design possibilities constitute the uniqueness of the building material. Interesting light and shade effects can be created by milling grooves and flutings in the stone surfaces. Such processed slabs radiate strength and solidity when mounted on a facade. Solid components like mouldings, frames and pillars ad permanence to any structure. Natural stone has very good thermal conductivity and a large heat storage capacity. Natural stone as facade material absorbs the heat radiated by the sun and prevents unwanted heating up of the building. As a natural building material natural stone contains no pollutants that are damaging to the health. Kodiak Mountain Stone can show you our lines of Natural Stone and point you in the right direction or finding the right stone for your project. We feature Slimrock and other Natural products that can enhance your next project. Architectural stone provides the same authentic look as natural stone, but because it can be mass produced, it does so regardless of nature’s supply. Your home or business will look great without depleting or eroding the environment. Mass produced architectural stone is generally less expensive than natural stone, which has to be hand-picked one rock at a time with consistent quality. Remarkably lighter and much less awkward than natural stone, architectural stone is specifically designed to arrange easily, and stick in place permanently. The true benefits of either product are only realized through the final product and what you prefer. Costs, installation time and weight all have to be factors as well as the final appearance. Whatever your choice; both products have their advantages to your project and Kodiak Mountain Stone has availability and selection to help fulfill your needs.